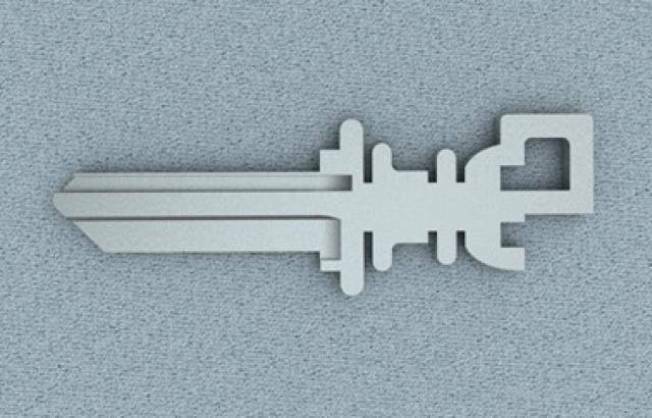 Choose your battles with this key shaped like a sword. PLANET OF THE SHAPES: Never forget which key's which with personalized Stat Keys, available in die-cut custom shapes for every purpose, e.g., scepters (for your home), grenades (for your gun cabinet), and pigs, for your ... pig? TULA TO YA: Pop into Tula Boutique for an Inhabit trunk show with previews of fall merchandise and collections by designers Nicole Farhi , Gróa, and others. Quench your thirst with refreshments while you’re there. BEST OF THE FEST: Peruse the booths of dozens of clothing and accessory vendors at the 8th annual Glenwood Avenue Arts Fest. The kick-off event happens Friday, August 21st; Festival is Saturday, August 22nd through Sunday, August 23rd.